In the heart of Rome, just a short walk away from Campo de’ Fiori, you’ll find Rimessa Roscioli. Home to some of the best Italian wine and food you’ll find in the city. They opened just recently, so we decided to go and check out their 8 Course Wine and Food Tasting Dinner! I know that when talking about wine, some people say “I’m just not a wine-person”. So I’m on a mission to prove them wrong! 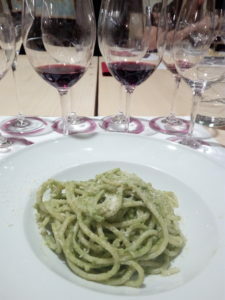 Here are 5 Reasons you should do a wine tasting in Rome! A wine tasting dinner is not only for the savvy wine lovers, a wine tasting can, and is, for everyone, as I happily found out! As a wine-novice myself, the only thing I could tell you before the tasting was that I preferred white wine to red wine, and not much else. Shameful I know! 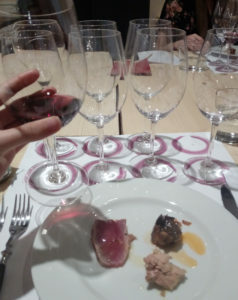 But I was glad to find out that everyone in our group had different levels of interest and expertise in wine, with one person even saying “they didn’t really like wine”.We were all just there to have a fun evening and learn a few things about Italian wine. Surprisingly for us all, by the end of the evening, we all felt like our palates had discovered new flavors and new favorite wines! No more blank faces when looking at the wine menu in a restaurant, we know our stuff now! As Alessandro explained to us “ Wines are popular for its production not for its variety”. Italy has over 1,000 wine grape varieties, each with its unique flavor depending on the soil and area where it’s cultivated. Most of the wines on the menu I had never heard of, such as Cesane di Olevano Romano ‘San Giovenale’ 2016, a local red wine from Lazio. Don’t let the unknown put you off, be adventurous, try something new and you might surprise yourself by finding your new ‘favourite wine’. In that case, don’t worry because you can order a couple of bottles from Rimessa Roscioli and they’ll deliver them home to you. They’ll be waiting for you once you get back! 3. To taste amazing local cheeses, meats, bread, pasta, tiramisu and more! We love a wine tasting evening, but a wine and FOOD tasting experience is even better! The food and wine pairings are carefully selected to compliment each other. 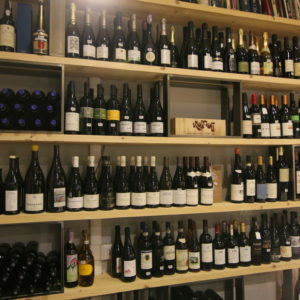 Equally, to break away some of those wine myths we all believe! “White wine with fish” said someone. Well Alessandro wanted to (and did) prove us wrong. For our 4th course we were served Etna Rosso ‘Don Pippinu’ 2013, a rocky/earthy/volcanic red wine from Sicily, paired with Red tuna fish. This combination was surprisingly, perfect. On another note, as a vegetarian I’m never sure if a restaurant will be able to cater to my veggie needs. 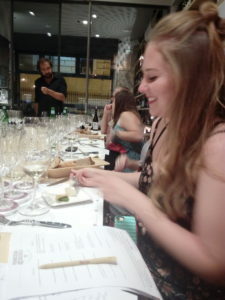 However, Rimessa Roscioli had no problems in providing alternative veggie tasters while still paying attention to the pairing aspect of the experience. 4. To meet new people, have fun and get a little tipsy! On your group wine tasting, you’ll meet people from all around the world. 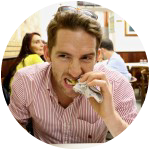 You’ll quickly get chatting and swapping tips on places to visit in Italy, where to eat and what to avoid! We had a wonderful mix of a group, including a couple on their honeymoon, a solo traveler and a couple enjoying a kids-free trip. This goes to show, that a wine and food tasting dinner really is for anyone! We had fun swirling, smelling and sipping on white, red and dessert wines as we tried to distinguish the flavors. It’s interesting to see how each person tastes something different. This goes to show that the flavor of a wine lies in the palate of the beholder. Alessandro’s passion and knowledge on wine and Italian wine regions is captivating! 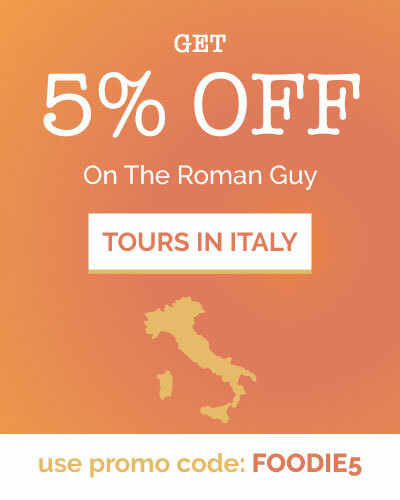 You will be transported all around Italy from Piedmont to Tuscany and back to Lazio. As you sip your wine, he’ll explain the unique climate and soil from each region and how this gives a unique flavor to the grapes. And after our wine and food tasting dinner, we couldn’t agree more! So if you’re now doubting your “I’m not a wine-person” line my mission is accomplished. If you’re already a proud wine-lover, you probably didn’t even need 1 reason to do a wine tasting dinner, but I hope you enjoyed reading anyway! So now you know, when in Rome, head to Rimesssa Roscioli for a memorable evening of local food and wine! 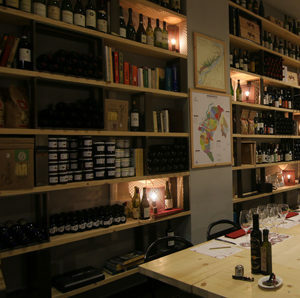 If you are looking for somewhere to have a drink after your wine tasting, check out our post on Speakeasy bars in Rome. Don’t forget to follow us on Instagram for tips on where and what to eat in Italy!